We recently did the invitations for two very different weddings in Las Vegas. 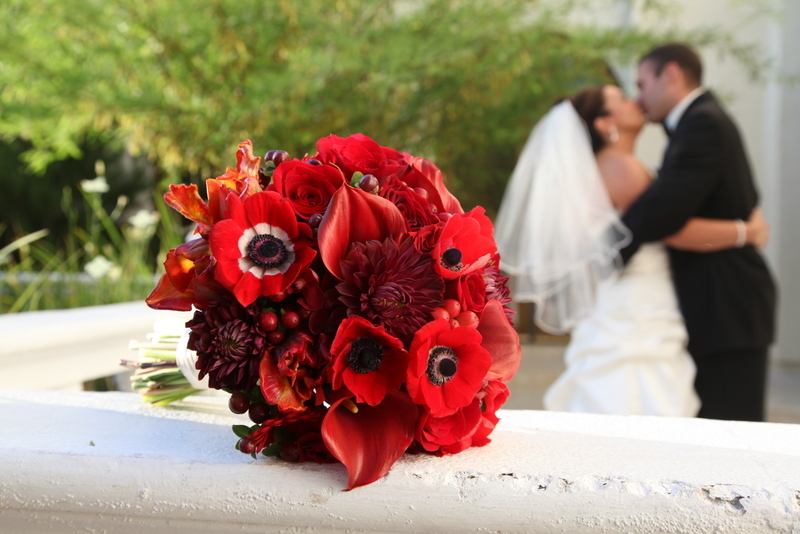 One of them, the wedding of Tawnya and Kiel, was a grand affair at The Griffin Mansion, whose mission is to encase beauty, elegance and distinctiveness on your wedding day. With striking red as the color scheme, we crafted the invitation ensemble for the couple who is stationed in Las Vegas for military duty. 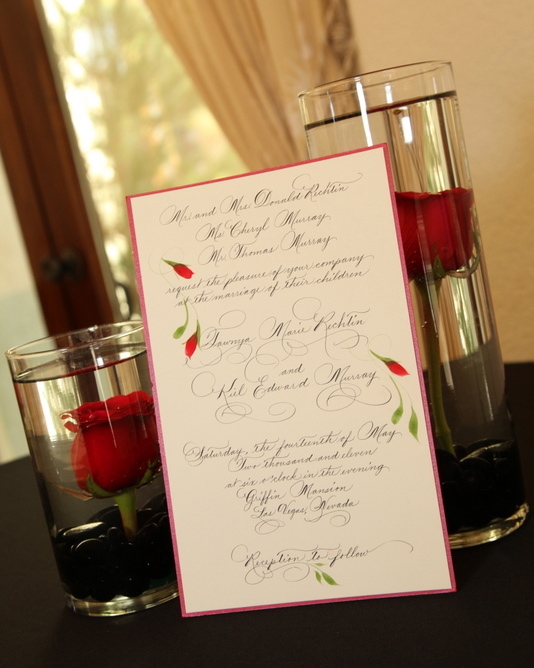 The reply requested guests to indicate if they were active or retired military, so that a small American flag could be positioned near their place card at the post wedding dinner. All I can say is FABULOUS! Our wedding invitations from The Delicate Pen really set the tone that we wanted for our wedding day! Each invitation was like a piece of art! When I received our package, the invitations were so BEAUTIFULLY wrapped that I almost didn’t want to open them! Jane, with the Delicate Pen, is professional, detail-oriented and easy to work with. She made the dreaded wedding invitation process a breeze. Thank you Jane & amp; The Delicate Pen!